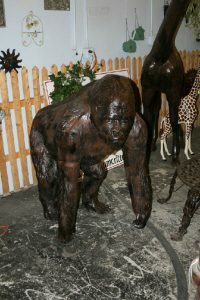 Our lifelike Gorilla statues and sculptures will be a unique and exciting addition to your garden or yard. 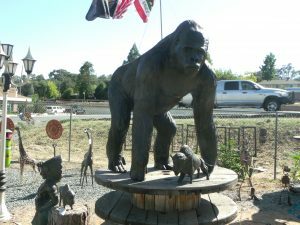 Imagine your friends reaction when they see a full size gorilla metal garden statue. Our grizzly bear yard art and sculptures have the look and feel of bronze with a much lower price point. AND they are eco-friendly recycled aluminum!